If you're planning a celebration with little or even no flowers, you're in luck as botanical weddings are on the rise this year. 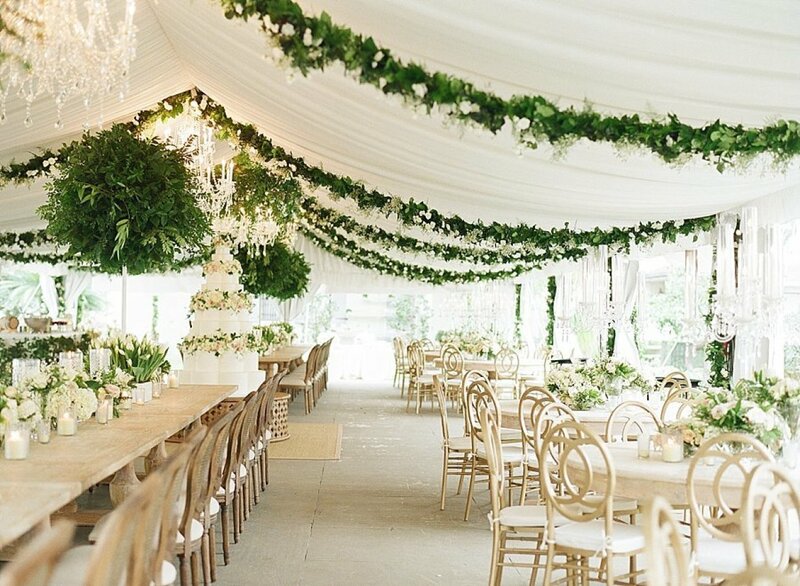 Filled with greenery, these kinds of celebrations feel refreshing yet elegant at the same time. Even with only greeneries as your focal point, there's still a possibility that your decoration spending will strike through the roof. To prevent this from happening, take a look at some of the tips below. If you're having an intimate wedding, the easiest way is of course to go the DIY route. If you have the time and will by all means please do some of the décor yourself. Putting greenery and candles as runners on the tables would be a simple and easy table setting idea. As the bride though, it might be hard to find time to do it on your own. So don't hesitate to go ask for help from your crafty family and friends! Even without flowers, a decoration concept filled with only greens can also be expensive if not planned thoroughly. So, we're suggesting to use faux greeneries on certain areas. The key is to keep the decorations authentic on places where your guests can touch them. For main centerpieces or table setting, use real greens. For ceiling or stage decoration though, opt for fake greens to cut cost. Also, use local, in-season greens instead of imported ones to even more reduce your spending on this area. Have some of your ceremony décor elements re-purposed in the reception. You can use the wedding arch as the wedding gate for your reception entrance for instance. Also, you can re-use the aisle decoration as centerpieces on the dining tables later on. Aside from re-purposing, you can also make the elements as double-agents. Prop tiny succulents as your table centerpiece, which your guests can take home as favors after the wedding has ended! Even when you don't have that many greens, you can cleverly use lighting to evoke a wonderful atmosphere. Use candles or string lights to complement the greeneries and see yourself how this simple trick creates wonders to your decoration. Last but not least, use what you already have. If you or your family collects antique vases, it would be a great idea to use them for the decoration. Aside from cutting cost, it would also be a great way to include your personality to the occasion, creating a one-of-a-kind celebration. Are you inspired by all these green botanical wedding ideas? Tell us which one your favorite is in the comments section below and don't forget to add your favorite shots to the inspiration board!